What did I conclude about the meaning of life and the possible existence of an afterlife from my visit to the National Museum of the American Indian? Only that there’s a reason so many people are drawn to Native spirituality, and that’s its focus on the natural world and that we are interdependent with it and with one another. Some tribes believe that everything is connected—seen and unseen, natural and manmade. So the next time you swear at your computer, stop and try to have a little compassion for it! Coincidentally, while I was in DC I started to read a novel by Kazuo Ishiguro called The Sleeping Giant which provided me with a comforting metaphor about death. I started reading Ishiguro in August when I was in Scotland, and I kept reading. When he won the Nobel Prize for Literature this month, I kind of felt like a genius because I could drop the names of four of his books and discuss the plot lines in detail in the lunchroom at work and at happy hours with friends. Anyway, The Sleeping Giant uses the metaphor of a boatman ferrying people to an island from which there is no return. It’s very peaceful except that they have to go alone—they have to leave their spouse or children or whoever they love most on the shore. There’s no telling what’s on the island, but the novel is set in ancient Britain so it’s heavily wooded. There we are, back to nature again. I found this illustration online that is kind of cool except it leaves out the woods. My takeaway is that this worldview of death is that it’s a journey to an unknown but pleasant-enough-looking land. I still think it could just be Lights Out. But there could also be some new adventure on the other side. 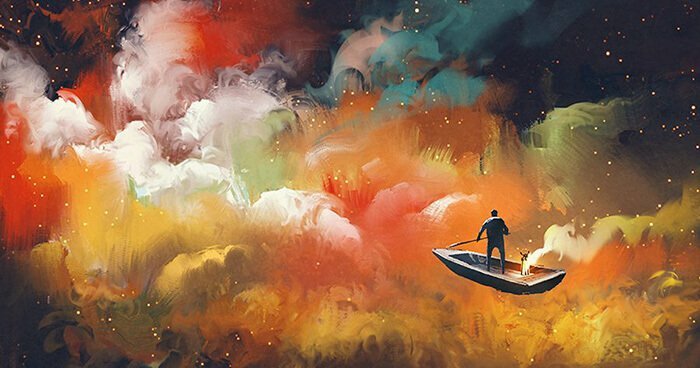 As a traveler, the idea of taking a boat ride into the unknown is intriguing. My flight home didn’t leave until 7pm, so I took in another exhibit at the AI museum about the Inca highway, which extended from what is now Chile to Colombia, or almost 25,000 miles (about 40,000 kilometers). 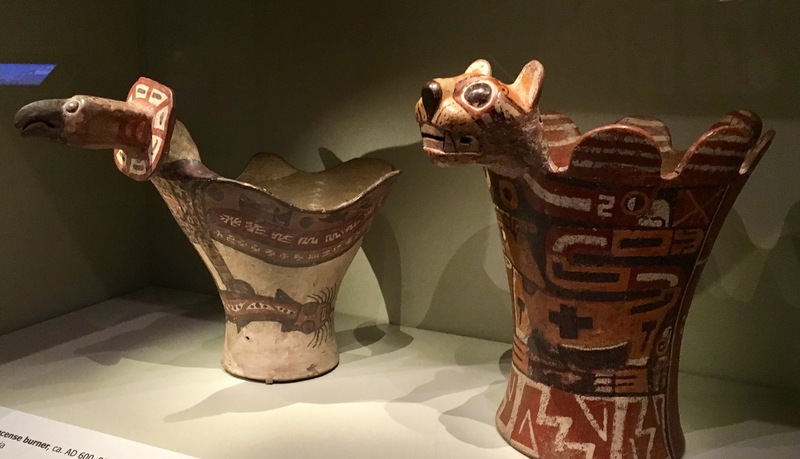 It was another extensive exhibit and I decided to just look at the artifacts and not read all the plaques about its construction or about the blood baths carried out during the Spanish conquest. There were some beautiful and whimsical artifacts representing the many cultures and eras that had lain along the route. I liked that the signage was in English and Spanish. I would read the Spanish titles, then check to see if I’d got it right. I mostly had, and I also learned a few new words. 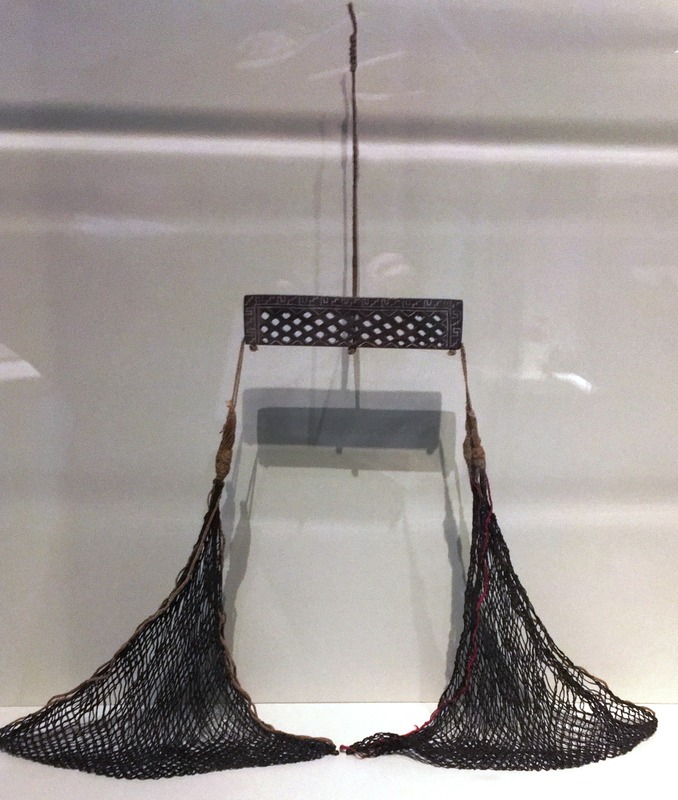 This is a scale used by the Inca. 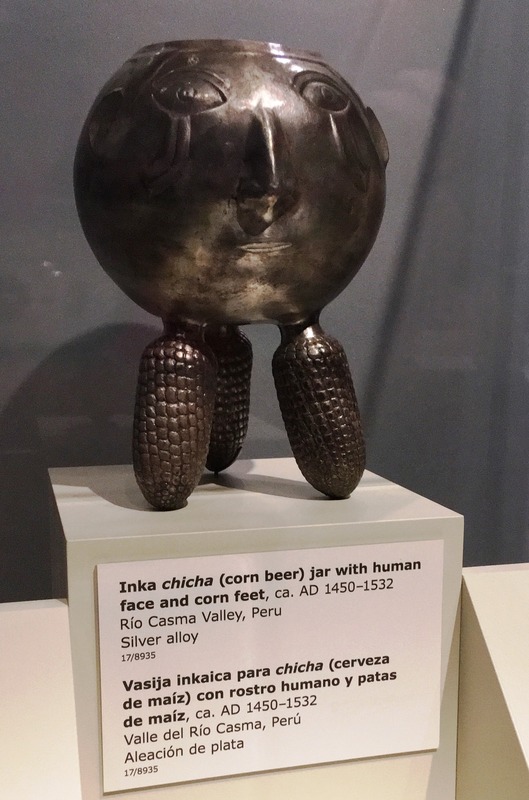 Keep in mind this was pre-Columbian (made, roughly, prior to the arrival of Columbus in 1492). Amazing that it survived. 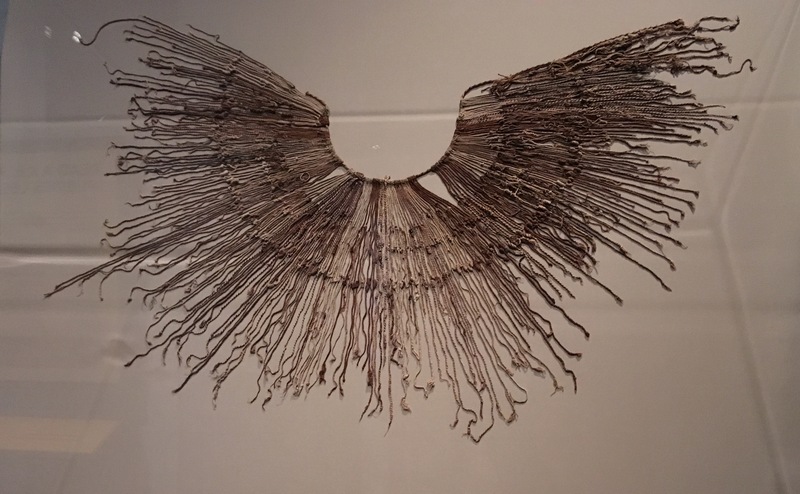 I at first took the item below for an intricate neck piece but it is an example of a quipu, a counting and communications system which employed different colored strings with knots whose positions indicated values. I had my doubts about eating a late lunch in the cafeteria. Indian food in Minnesota means fry bread, which is basically deep-fried dough. Not my idea of a healthy or delicious meal. But the cafeteria was organized by regions of American Indians, so there was everything from ceviche to salmon and yes—fry bread. 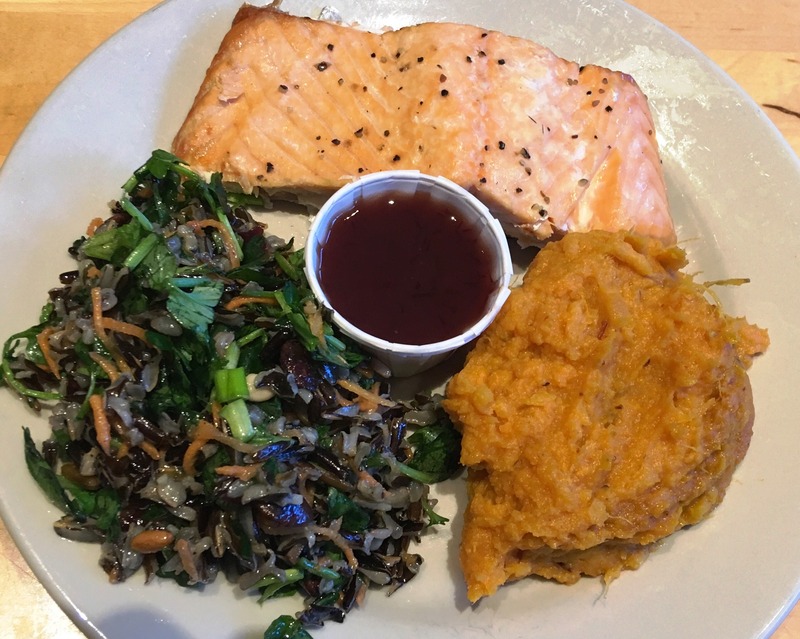 I filled my plate with salmon, a wild rice salad with water cress, and mashed sweet potatoes. Good thing that admission to the museum was free, because after about five hours in the exhibits I dropped a wad of money in the cafeteria and gift shop. I wandered around DC a bit more. 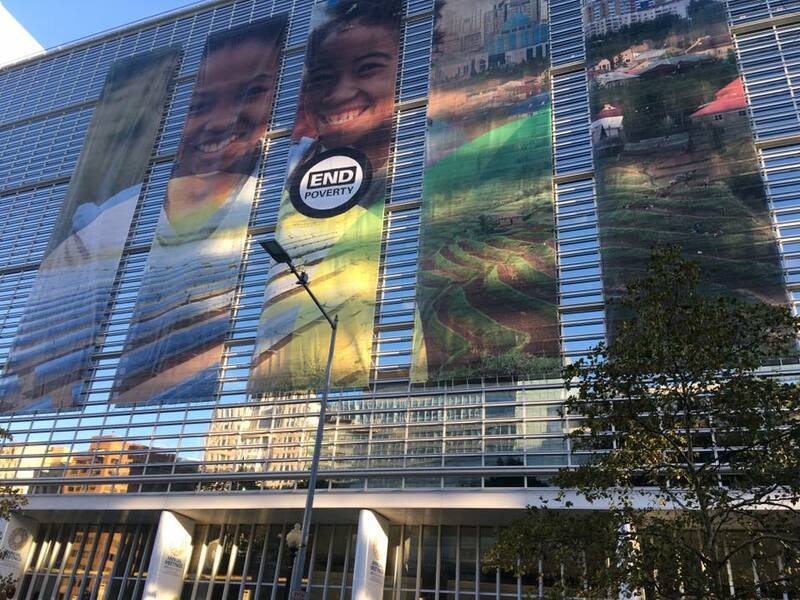 The International Monetary Fund and World Bank were having their annual meeting and banners with the theme END POVERTY were on prominent display. 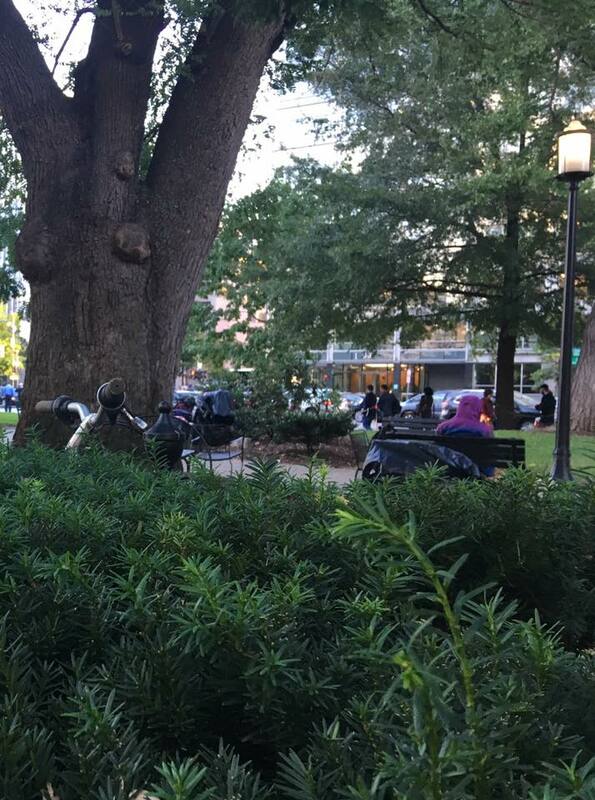 Directly across the street from this building was a park full of homeless people. And this is my view as I descended the escalators into the Metro. Scary. 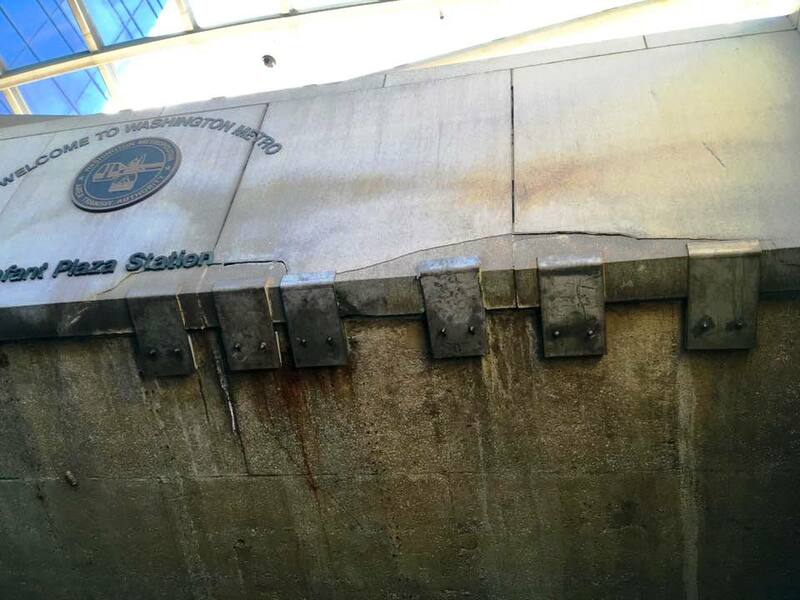 Our domestic infrastructure is being held together with rusty bolts, but we’re going to spend billions to build a wall to keep Mexicans out. This entry was posted in Adventure, Budget travel, Culture shock, International Development, Travel and tagged DC, Kazuo Ishiguro, Native American Spirituality, Wall with Mexico, Washington on October 29, 2017 by Breaking Free.